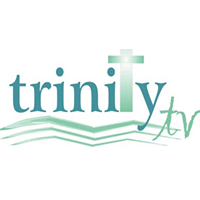 Religious TV Channel / Trinity TV - We are a Catholic-based media house, serving the Community of the Caribbean. To Responsibly and joyfully communicate the Good News of Christ in the Catholic Tradition. As we incarnate the Gospel in Caribbean culture, TCN strives to: Proclaim, celebrate and become the Good News. Creating an environment of love and spiritual growth. Fostering in our society authentic Christian values that would lead to the development of the whole person and the transformation of society. Giving a voice to the poor and marginalized and providing an avenue where their legitimate cares can be heard. Cherishing, encouraging and supporting each other. Being messengers of the Good News who are accountable and dependable to the TCN family, the Church and our wider audience. Uniting the people of the Archdiocese of Port of Spain through promoting and teaching its pastoral priorities. Adhering at all times to the magisterium of our Church and actively promoting and teaching Church doctrine. Skillfully and intelligently utilizing the technology available to us and by seeking to always maintain high standards of performance and production. Making available on-going guidance and training for existing and new staff and external production teams. Being flexible and prepared to respond willingly to unplanned challenges, changes, requests and opportunities. Being good and responsible stewards of TCN’s equipment, property and resources. Continuing to work closely with other groups and communities in spreading the Good News. Maintaining the unique TCN branding through regular displays of creative imagery and messages of inspiration and hope.